A close association is often found between a specific indigenous people or local community and a specific territory, area, or body of natural resources. When such an association is combined with effective local governance and conservation of nature, we speak of an “ICCA”. ICCA sounds like an acronym, but it is not. It is an abbreviation for “territories and areas conserved by indigenous peoples and local communities” or “territories of life”. In any case, for many custodian communities, the connection with their territories is much richer than any word or label can express. It is a bond of livelihood, energy and health. It is a source of identity and culture, autonomy and freedom. It is the connecting tie among generations, preserving memories from the past, and connecting those to the desired future. It is the ground on which communities learn, identify values and develop self-rule. For many it is also a connection between visible and invisible realities, material and spiritual wealth. With territory and nature go life, dignity and self-determination as peoples. The governance decisions and management efforts of the concerned people or community contribute to the conservation of nature (ecosystems, habitats, species, natural resources), as well as to community wellbeing. If an ICCA fulfils well and easily these three defining characteristics, it is an example of a “defined ICCA”. If only two or one of the characteristics are present, we do not have a defined ICCA, but we may still have a “disrupted ICCA” or a “desired ICCA”. Since 2015, it has become common to adopt a typology of ICCAs with regard to the status of their characteristics, as just described. In this sense, “defined ICCAs” fulfill the three characteristics; “disrupted ICCAs” are known to have fulfilled them in the past but fail to do so today because of disturbances that can still be reversed or counteracted; and “desired ICCAs” have the potential of developing the three characteristics, and their custodian communities are ready to work for this. 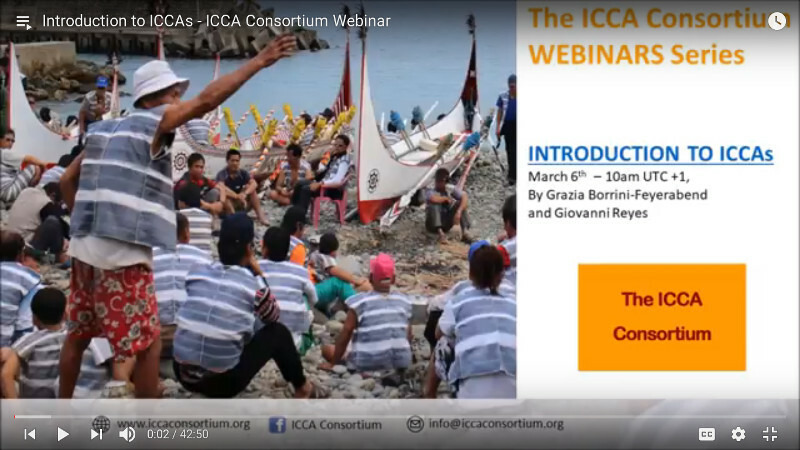 “Disrupted ICCAs” may be territories and areas under the long-term full control of local communities and indigenous peoples that are in a poor state of conservation for a variety of influences and conditions that developed outside of their control. They may be well-conserved territories and areas where communities would like to live sustainably, but have been removed and deprived of management control because of development and conservation initiatives or for other reasons. They may be “disrupted” because there is no way of accommodating them under existing national legislation and policies (in some cases national legislation does not even acknowledge the existence of “communities” or “indigenous peoples” as social actors). In such cases, ICCAs may somehow exist de facto on the ground and play important roles for biodiversity conservation… but have little long term security. The challenge is to make sure that disrupted ICCAs are appropriately recognized and supported as they re-create and strengthen themselves. All ICCAs should enjoy recognition, support and protection from threats (which, unfortunately, abound). “Desired ICCAs” may be related to the life plan of new or reconstituted communities that decide to pull themselves together in relation to a common environment, socio-ecological principles and vision. In so doing, they develop a common identity for themselves as a “community” and for their territory as an “ICCA”. “Desired ICCAs” may refer to a pre-existing historical situation or may start anew on the basis of shared values and/or hard work for the restoration of a specific territory. An important example of a “desired ICCA” may be the new territory of an indigenous community relocated onto new land. If, for a variety of reasons, the community decides to accept living in the new territory, it may consciously work to develop the bond with it, along with a form of governing institution and positive practices (the three ICCA characteristics). Emblematic ICCAs are those that have great potential to be inspiring examples. They may be representative sites (e.g., common ecosystems or situations) or highly visible sites (e.g., historically or culturally important or otherwise well-known). They may even include those where current threats to culture and nature are so great that positive action and self-strengthening there would serve as an inspiration and example for other communities and allies. You can visit a number of emblematic ICCAs here. 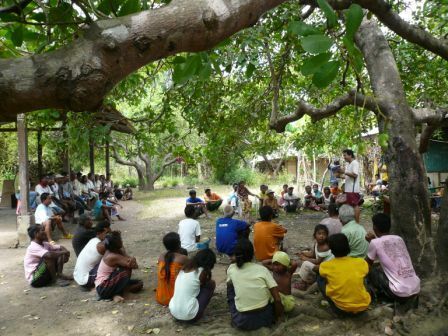 In the last decades, ICCAs have become known and recognised as essential features for the conservation of nature, sustainable livelihoods, the realisation of collective rights and responsibilities, and the wellness of living beings on our planet—all of which are under attack by a variety of economic and political forces. They include cases of continuation, revival or modification of traditional practices, some of which are of ancient origin, and also include new initiatives, such as restoration of ecosystems and innovative uses of resources employed by indigenous peoples and local communities in the face of threats and of opportunities. ICCAs can be the foundation of cultural identity and pride for countless indigenous peoples and local communities throughout the world. The global coverage of ICCAs has been conservatively estimated to be comparable to that of governments’ protected areas, i.e. about 13% of the terrestrial surface of the planet. Globally, 400-800 million hectares of forest are owned/administered by communities, and land and resources in other ecosystems are also under community control. By no means are all of the areas under community control effectively conserved and secured (and therefore considered as “defined ICCAs”), but a substantial number are. Environmental and socio-economic disasters related to climate change and other major socio-economic change outside of local control.